LG: What was the inspiration for the title for the album? BB: Life in general…… it was time for a new CD this is my 11thindependent release. I write hooks to songs all of the time. Then I sit down and finish the songs. LG:Do you have a favourite track and if so, why? BB:So many favourites on the new CD …. 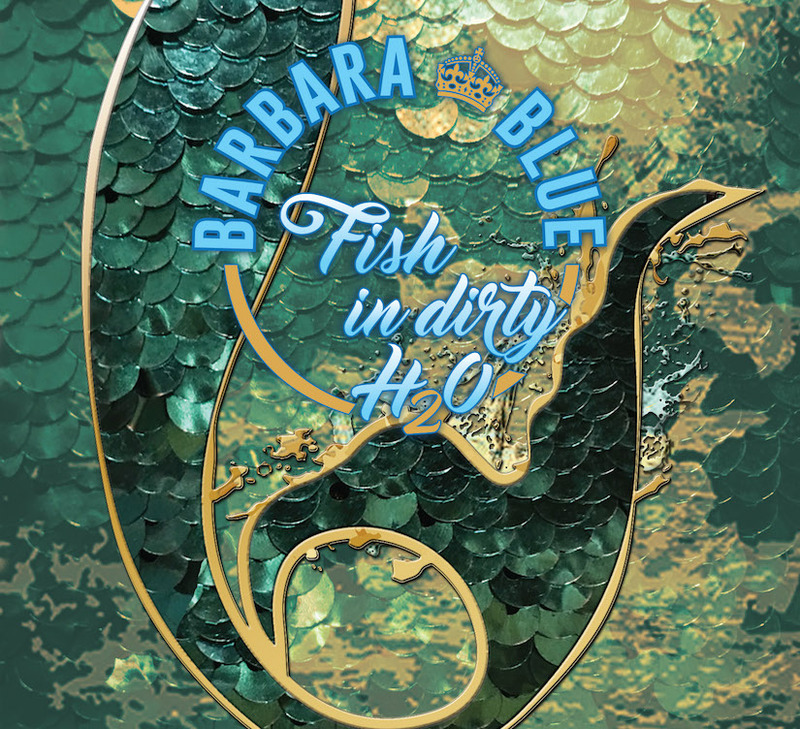 but I will say FISH in DIRTY H2O the title track is pretty dear to me. I love KoKo Taylor … and my friend Al Capone does an excellent cameo piece in this song. Accidental Theft a true story! That’s Working For Me I can’t wait to shoot a video!! Walk Away, My LIFE!! Meet Me In Memphis so bittersweet! LG:You do quite a few covers on this CD, some of my personal favorites, how did you choose them? BB: There are 13 tracks on this CD I wrote or co-wrote 7 songs. Pretty sure there is only 1 true covers on this new CD – “Come Into My Kitchen” Robert Johnson I always like to pay tribute to the founding mothers & fathers.This year is was RJ’s turn – coz his song has 2 of my favorite things; My Mama & my Kitchen are mentioned!!! There are 3 songs I am credited with Adaptations – “Meet Me In Memphis”, Johnny Lee & Fish In Dirty H2O and Long stor, but it’s all good. There are 2 Muscle Shoals songs on here that haven’t been recorded before, because one of my writing partners (Mark Narmore) wrote them with Spooner Oldham, Carl Holder & Allison. LG: You are The Reigning Queen of Beale Street and have a note on the Blues Walk of Fame, how did you come to end up at the world famous Silky O’Sullivan’s and what has kept you there for over two decades? BB:In May of 1997 a friend and I went to Memphis to catch Tracy Nelson at the Music Festival…. we had been in NOLA for Jazz Fest all week and my friend (Becky Derek) was a great fan so in the evening I walked into Silky’s to sing a few songs because I had been there before and knew if I threw $5 at the dueling piano players I could get up and sing a song…… It was the first time I had done this in May during the Beale Street Music Festival. There were lots of folks on the street and in the club so when I started singing (Bobby McGee) folks were just on top of each other….. It was like the room would breath when I started to sing …. it would fill up beyond capacity …. and when I stopped it would empty out a bit…. so that Sunday night in May Silky & Joellyn offered me a job. I went back home (to Pittsburgh PA) for a month and got my belongings squared up and then headed back to Memphis and spent 2 weeks with Nat Kerr my piano player (of 20+yrs) rehearsing and Jun 7th 1997 was our first show….. Yes, we have been there over 20 years 5 nights a week. I travel the world also it is ALL GOOD. I love my work. It makes people happy and that is a REAL GOOD thang!! LG:How did you get started in the business? BB: I’ve been singing all of my life over40years professionally. I just picked up my guitar and started playing …. in the beginning mostly Biker Bars and smallclubs ….. Then joined a few bands….. everything from Rock to Jazz & Country to R&B and Blues. LG: Have you ever thought of quitting? LG: What would people be most surprised to know about you as a person? BB:Not sure, people are funny, I’m a GREAT cook & baker.I like to give folks things to make there day a little better. I have quite a few rescued animals, dogs, cats & humans!! HA!! ‘laughing’ – I live in a state forest!! LG: Who were your major influences? LG: Who were some of your favorite people to collaborate with and why? BB:Definitely Jim Gains, Bernard Purdie, Will McFarlane, Mark Narmore, John Porter, Johnny Lee Schell and the entire Phantom Blues Band and Willie Mitchell’s grandson Lawrence “Boo” Mitchell, Skip Pitts and the Hi Rhythm Section.We are all on the same musical page “we are one”, It’s not about “us” its about the music!! AMEN! !